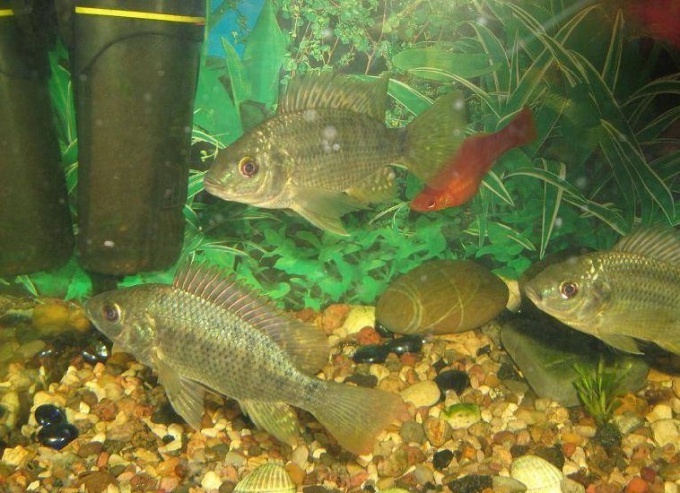 Many aquarists are faced with the problem of turbidity of water in aquariums. It is possible to allocate some reasons of this phenomenon, algal blooms, biological splash, high levels of organic carbon. How to get rid of turbidity in an aquarium? The appearance of white or gray Muti in a new aquarium can be associated in laying the ground. Thoroughly flush the soil before placing in the aquarium. Usually 1-2 days after laying, the water in the aquarium becomes transparent.The presence of turbid water for three days or more after placement of the soil may indicate insufficiently thorough washing. If after backfilling to the new aquarium, the water became transparent, and then reappeared turbidity - this indicates the establishment of the biological balance of the system. Such turbidity is called bacterial. After the formation of sufficient amounts of beneficial bacteria it usually disappears on its own. To make life easier for the fish during this period, it is recommended daily to replace 1/4 of the aquarium water. Try to feed the fish as little as possible. In the first month of use aquarium do not run there too a large number of inhabitants. The cause of green turbidity in the aquarium is usually an algae bloom. To remove green Muti - everyday you need to change 1/4 of the water. Remove and rinse the filter material aquarium filter. Reduce the amount of feed. Turn off the lights and do not turn it on until then, until the green haze will not disappear.If possible, purchase a special UV sterilizer or use tools to remove the algae, sold in pet stores.In order to avoid green Muti, it is recommended to place the aquarium in such a way that it does not get direct sunlight. It is strictly forbidden to place aquariums on the Windows on the South side. The appearance of yellow turbidity can be caused by several factors. This effect can appear from excess of waste products of fish. 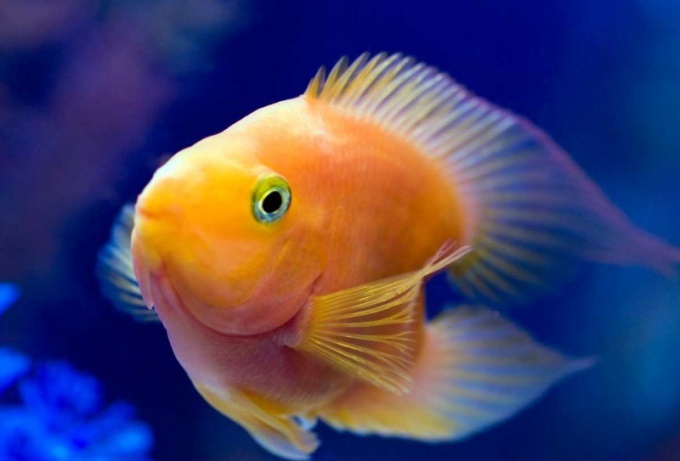 In this case, you need to buy a more powerful aquarium filter.If you have recently placed in the aquarium with a snag - most likely, the cause of the yellow turbidity in it. You should know that the process of leaching of the pigment of the wood lasts from 2 to 6 months. After that, the water will again become transparent. It is recommended to change the water in the aquarium a little more than usual.Another reason for the appearance of the yellow turbidity could be rotting of the plant. Remove sick and dead algae from the aquarium. Clean up water with activated carbon. However, be aware that it absorbs from the water not only harmful, but also nutrients. Therefore, the maximum period of use carbon filter is one week. After applying this filter, you must ensure that all other water parameters remained normal. Novice aquarists are often faced with the phenomenon of clouding of the water in the aquarium. This can happen for many different reasons and it is important to know how to solve this problem, not to cause harm to its inhabitants. Some beginners are in a hurry to set up your first aquarium and populate it. So after a few hours the water becomes turbid with a whitish tint. This is due to the damage to biological balance, dramatically increases the amount of bacteria. The water must first go through a period of "ripening". For this first you need to plant aquarium plants to get settled in for two days water and leave the aquarium for a few days. During this time, the water becomes transparent, sometimes slightly greenish hue. Restores biological balance and you can now run fish. In some cases, and long-functioning aquarium begins mass reproduction of bacteria, this occurs when a lot of fish and aquarium care. In this case, you should do the cleaning. To isolate the fish in another container, clean the soil, remove excess plants to replace the water and wait a few days until the water clears - the balance is back to normal. Sometimes the water can become cloudy, if you give a lot of dry food. Fish bad to eat it, the remnants begin to rot, which contributes to the growth of bacteria. It is therefore recommended to switch to the use of live food such as bloodworms. It is necessary to give the rate of up to 5 pieces medium fish. Also of great help in the destruction of uneaten food residues have snails, but their numbers also need to control. In the wrong lighting, the water can become green, become turbid on the glass, plants and scenery there is a RAID. This is due to the rapid increase in the number of algae. In such cases, carry out the third part of the water 1 time a week, run a fish that eats algae, reinforce or, conversely, reduce the lighting. Be sure to include water filtration. With clear glass plaque with a cleaning scraper. - don't forget to remove overgrown plants, clean the soil and filter the water.